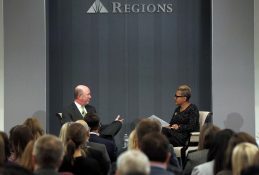 Regions CEO discusses strategic vision for customers, communities. 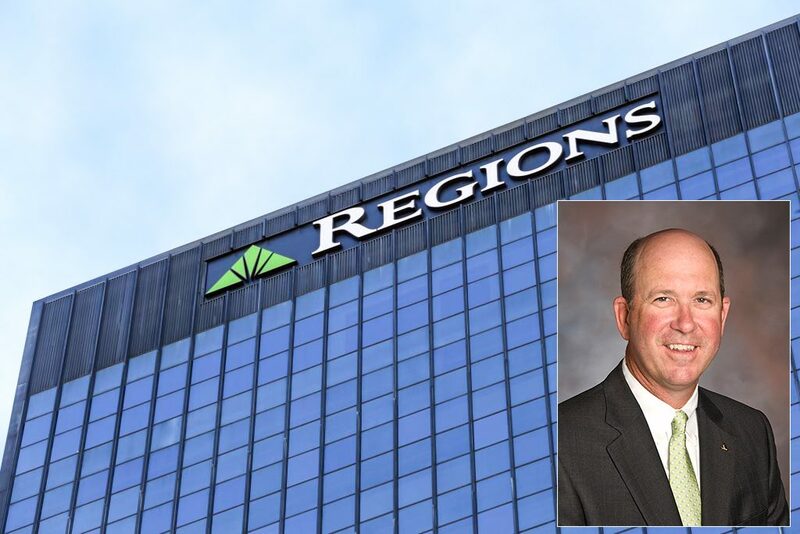 John Turner, President and CEO of Regions Financial Corp., spoke with Alabama business and community leaders at the April 9, 2019, gathering of the Kiwanis Club of Birmingham. 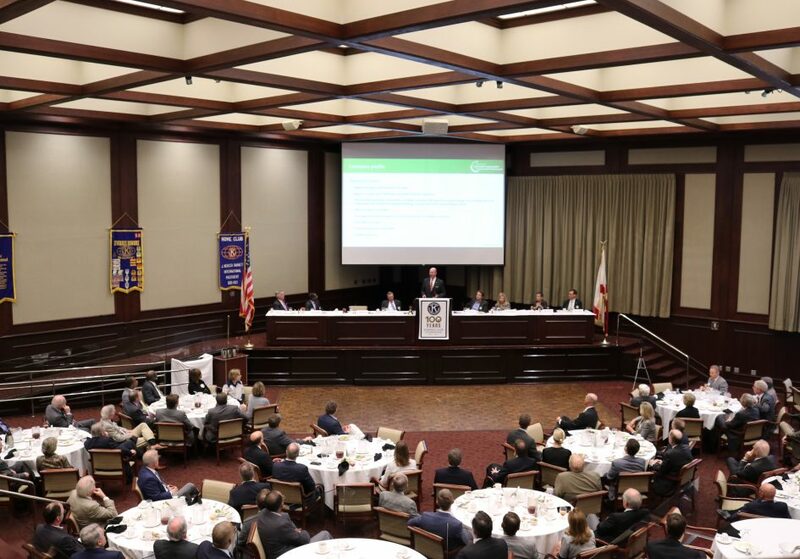 Turner shared his vision with some of the state’s top business and philanthropic leaders as they gathered at the Kiwanis Club of Birmingham, an organization that, for over 100 years, has served as a catalyst for growth in Regions’ headquarters city. Below are five key takeaways from the CEO’s remarks. 1. Banking is evolving. But its core remains the same. With digital tools that are constantly advancing, anyone can have the power of Regions in the palm of their hand. 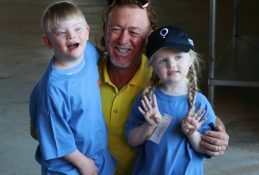 But one of Regions’ key differentiators remains the people who are at the heart of how the company operates. 2. Customer expectations are rapidly evolving as well. “Our customers increasingly are expecting speed, convenience and reliability, and they’re banking with us lots of different ways,” Turner pointed out. 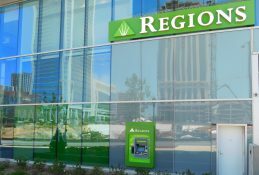 That’s why Regions is investing $625 million in technology in 2019 alone. Much of that investment will be allocated toward new capabilities for consumers. “Our teams have to be very, very passionate about how we improve the customer experience through the use of technology,” Turner said, adding that strong, thorough cybersecurity is among Regions’ top priorities. 3. It’s not branches vs. digital. It’s both. Much has been written about the role of the bank branch in the digital age. With online and mobile banking, many people don’t need to go to a branch for routine transactions like they did years ago. 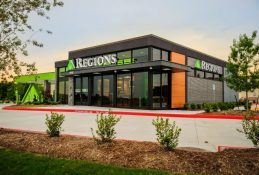 But Regions finds the same customers who use the company’s digital services often still seek branches for face-to-face guidance. 4. 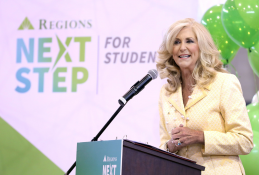 Regions is taking a more strategic approach toward community engagement. 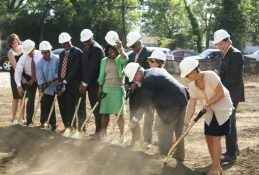 Turner pointed to the endowment of the Regions Financial Corporation Foundation, which is making strategic investments in programs that create more inclusive prosperity throughout Regions’ 15-state footprint. 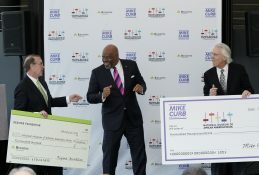 Regions Financial contributed $100 million toward the Foundation’s efforts. 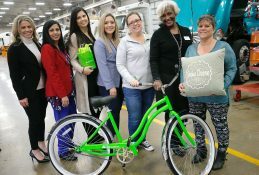 “We believe that our business can only be as good as the health of the communities that we serve,” Turner said, saying more purpose-driven community investments will help Regions build on its overall impact. More than 8,000 people work for Regions across Alabama, with nearly 6,000 of them based in Greater Birmingham. 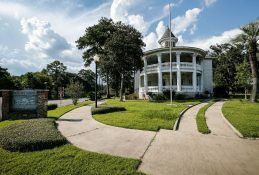 Turner pointed to research that was commissioned by the bank in early 2019 to quantify Regions’ economic impact on its home state. “Our average wage is 46 percent higher than the average wage in the state. So it’s a good place to work,” he said. The percentage is based on a combination of wages and benefits. Regions also continues to attract top workforce talent to the state. John Turner joined Regions in 2011. He was named head of Regions’ Corporate Bank in 2014 and President in 2017. He was elevated to serve as CEO in 2018.